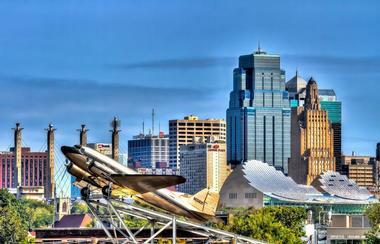 Kansas City offers much to do for tourists on a budget. Art crawls throughout the city's arts districts offer opportunities to view gallery exhibitions and street performers for free, while public parks and nature centers provide free opportunities to explore the region's natural beauty. Visitors can ride the city's free KC Streetcar throughout the city's downtown district, which connects to the low-cost KCATA public bus transit system. 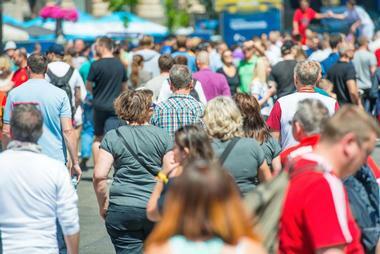 Some attractions are free only on certain days – please check before you go. The Nelson-Atkins Museum Of Art is a free-admission Kansas City art museum that is open to the public Wednesdays through Sundays during the morning and afternoon hours. The museum preserves the former estate and collections of William Rockhill Nelson, the founder of the Kansas City Star, and art collector Mary Atkins, originally opened to the public in 1933. Its new Bloch Building has been named as one of Time magazine's best new modern architectural marvels, showcasing impressive collections of Asian art, European paintings, and works by American artists of the 19th and 20th centuries. Other significant collections include the Hallmark Photographic Collection and showcases of indigenous American art. 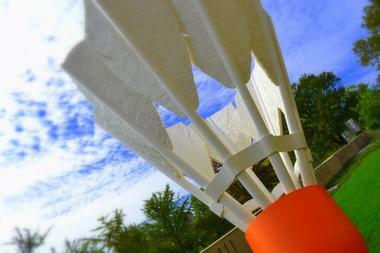 Visitors can also explore the Donald J. Hall Sculpture Park, which contains the United States' largest collection of Henry Moore bronze sculptures. 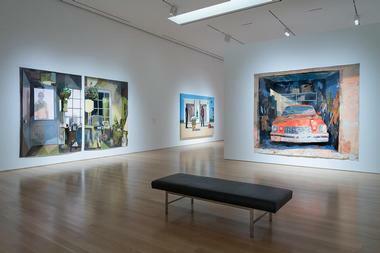 The Nerman Museum of Contemporary Art is a free-admission art museum on the campus of Overland Park's Johnson County Community College, open to the public Tuesdays through Sundays throughout the morning and afternoon hours, with the exception of times that the campus is closed to the public. The museum, which is named in honor of Kansas City art collectors Margaret and Jerry Nerman, has been named as one of the best university campus art museums in the United States by Public Art Review, showcasing acclaimed collections of multimedia works by emerging and mid-career international artists. Over 400 works of art are also integrated into the college's campus, representing its "living with art" philosophy designed to engage students and community members with the arts on a daily basis. The Money Museum is the official public museum facility of the Federal Reserve Bank of Kansas City, which is located within the city's downtown district near the National World War I Museum. As the newest building within the Federal Reserve System, the branch opened for business in 2008 and services the Tenth Federal Reserve District. 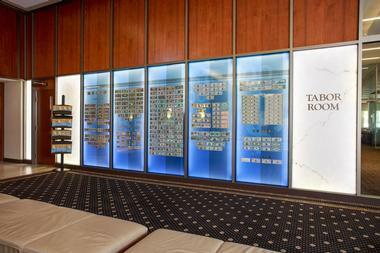 Its 3,000-square-foot interactive museum is open to the public for free during business hours, providing visitors with an up-close look at the largest cash vault in the American Great Plains. Visitors can also design custom currency with their photographs, lift a solid gold bar, and try their hand at detecting counterfeit currencies. All visitors receive a free bag of shredded currency after visiting the museum. Visitors should note that valid government photo identification is required for all visitors over the age of 18. The Kemper Museum of Contemporary Art is Missouri's premiere contemporary art museum, originally opened to the public in 1994. The museum is open to the public for free daily and attracts more than 100,000 annual visitors, presenting eight to 12 annual exhibitions of works within its Kemper East, Charlotte Crosby Kemper, and Barbara and Paul Uhlmann Galleries. Exhibits showcase works from the museum's permanent collection, which highlights pieces by internationally-renowned artists such as Dale Chihuly, Georgia O'Keeffe, and Romare Bearden, along with exhibitions by emerging and mid-career artists from around the Kansas City region and throughout the world. The Kansas City Public Library is the main public library system for the Kansas City, Sugar Creek, and Independence, Missouri regions, originally founded in 1873 as the Public School Library of Kansas City. Since then, the system has grown to offer 10 branches throughout the city's metropolitan region, including a Central Library located on West 10th Street in the city's downtown district. Rotating public art and cultural exhibits are viewable for free at the Central Library on a regular basis, with many focused on social topics related to the city's history. Visitors can take free guided tours of the Central Library on the second Saturday of each month with advance registration, exploring the building's architecture, collections, and services from 11:00am to 12:00pm. City of Fountains is the unofficial nickname of Kansas City, named as such for its hundreds of historic and iconic fountains located throughout the city's downtown and suburban areas. 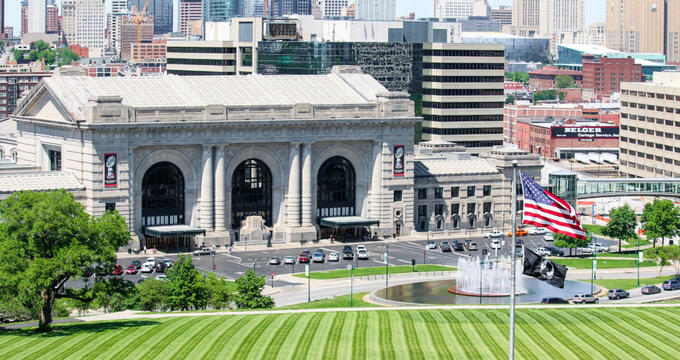 48 publicly-operated fountains are showcased throughout the city, including the spectacular J.C. Nicholas Memorial Fountain, which was originally constructed in 1910 in Paris and recovered from a New York scrapyard in 1951 for installation near Kansas City's Country Club Plaza. Equestrian figures adorn the fountain, with each representing one of the world's most renowned urban rivers. All of the city's public fountains are turned on at once each April during Greater Kansas City Fountain Day, a favorite civic celebration and photo opportunity. 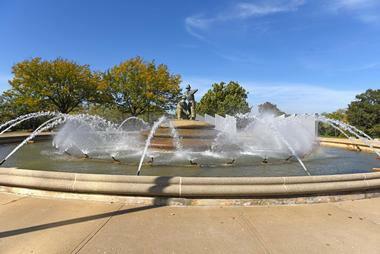 Visitors can explore the city's fountains as part of self-guided tours. 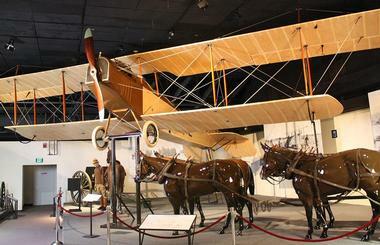 Frontier Army Museum is a free-admission museum showcasing the history and significance of Fort Leavenworth, the oldest active post of the United States Army west of Washington, D.C. The museum is open to the public Tuesdays through Saturdays during the morning and afternoon hours, with the exception of federal holidays. 19th-century military vehicles are showcased, along with preserved weapons and equipment from the historic Frontier Army. Exhibits highlight the Army's participation in America's westward expansion, including the Lewis and Clark Expedition of 1804. Though the museum is free to enter, donations are greatly appreciated to sustain future museum operations. The Hallmark Visitors Center details the history and legacy of Hallmark Cards, Inc., which was founded by J.C. Hall in 1910 and has become the world's largest distributor of greeting cards today. The visitor center is open to the public Monday through Saturday during business hours, featuring exhibits detailing the company's rise from home operations by a Nebraska teenager to its present-day $4 billion USD industry. Collaborations with famous artists and companies are highlighted, including the company's association with the Jim Henson Company's characters and trademarks. A short documentary film is shown periodically throughout the day, and an artifact search scavenger hunt is available for families to enjoy together. Ernie Miller Park and Nature Center is a 113-acre nature center within Olathe's Ernie Miller Park, which is named in honor of civic leader and Olathe Mirror columnist Ernie Miller. The nature center is open to the public Tuesdays through Sundays for free, showcasing a stream aquarium filled with marine life, a birdfeeder court containing hummingbird and butterfly gardens, and an outdoor amphitheater hosting periodic public special events. More than 170 birds of prey are also showcased at the center, including osprey, hawks, and falcons. Visitors can explore the broader nature park daily between dusk and dawn, which is home to three miles of visitor walking trails. The KC Streetcar is Kansas City's official free-to-ride streetcar system, originally opened for service in May of 2016. Today, the system enjoys a ridership of more than 5,600 daily riders, with more than five million riders using the service since its opening. 16 streetcar stops are located along a 2.2-mile downtown route, which runs between the city's Union Station and River Market and connect visitors and residents to attractions such as the city's Washington Square Park, Crossroads Arts District, and Central Business District. Connections are provided to local commuter transit services, bike share kiosks, and the city's Amtrak routes. 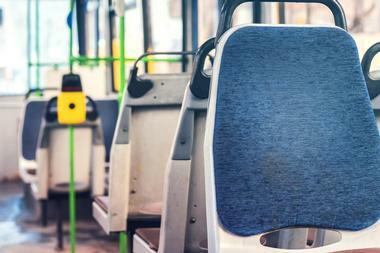 The streetcar operates seven days a week, offering early-morning and late-night service. 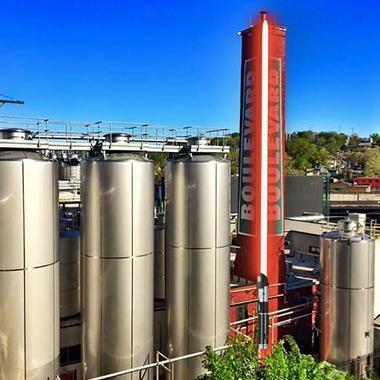 Boulevard Brewing Company is the largest specialty brewing company in the American Midwest, originally founded in 1989 by John McDonald. The brewery is known for its year-round American Unfiltered Wheat Beer, American Kolsch Golden Ale, Heavy Lifting IPA, Bully Robust Porter, and original Boulevard Pale Ale. Though tours of the brewery typically cost $5 USD, visitors can enjoy tours for free on Wednesdays between 11:00am and 4:00pm. Tours last approximately 45 minutes and offer free samples of the brewery's ales and lagers in its public tasting room at the conclusion of each tour. Tickets are available on a first-come, first-served basis, available each day when doors open. The Bruce R. Watkins Center is a free-admission living museum that is dedicated to preserving the history and culture of Missouri and Kansas City's first African-American pioneers. 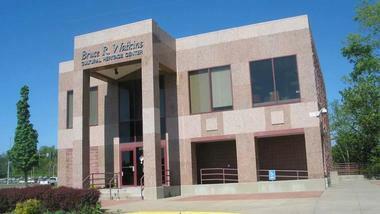 The museum was named in honor of regional social activist Bruce R. Watkins and was opened to the public in December of 1989. Permanent gallery exhibit space on the museum's first floor showcases works by local Kansas City African-American artists, while gallery space on the museum's second floor presents exhibits detailing African-American life and culture in Missouri and beyond. The museum is also home to the Gertrude H. Keith Research Library, which contains rare book collections and resources related to the state's African-American communities. 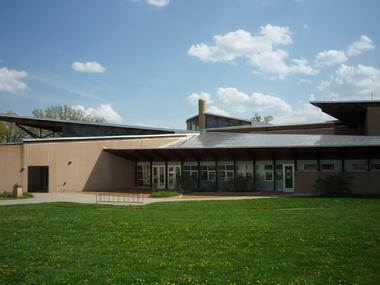 The Children's Peace Pavilion is a unique interactive museum in Independence that houses more than 25 non-sectarian interactive exhibits focused on the idea of peace and harmony for oneself, one's community, the world, and the environment. The museum was originally opened to the public in 1995 as a gift to Missouri's children from the Community of Christ. It is open to the public Wednesdays and Fridays throughout business hours, with Mondays, Tuesdays, and Saturdays reserved for tours for small groups and organizations. Exhibits promote ideas of self-care, emotional communication, environmental conservation, and social responsibility, including a conflict-resolution puppet theater. Though the museum is free to enter, a suggested donation of $1 USD or more is strongly recommended to aid with future museum operations. 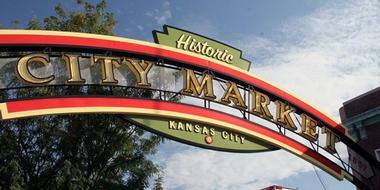 City Market is one of the largest and most historic public markets in the American Midwest, originally opened to the public in 1857. The market, which is open to the public for free each Saturday and Sunday year-round, hosts over 30 full-time produce, meat and dairy, and specialty food vendors, featuring unique products imported from around the world. 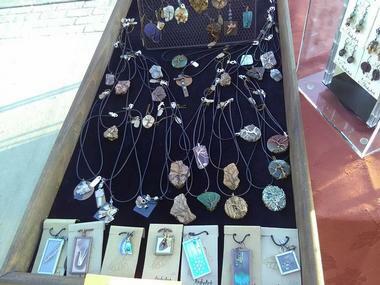 Artisan and goods vendors also sell their products throughout the year, including apparel, jewelry, and home goods. Restaurants and food vendors include authentic Vietnamese restaurant Hien Vuong and Kansas City's oldest Ethiopian restaurant, the Blue Nile Cafe. All of the market's parking lots are free on weekends, with additional free two-hour parking offered at City Market Square. 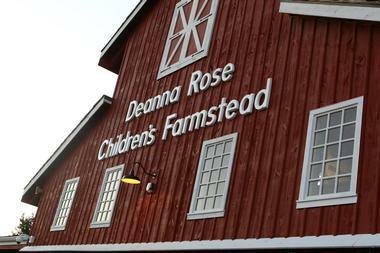 The Deanna Rose Children's Farmstead is a family-friendly farmstead, animal park, and museum in Overland Park, open to the public for free beginning at 2:00pm Mondays through Thursdays. The farmstead, which was originally opened in 1978, showcases more than 200 domestic and wild animals throughout its grounds, including farm livestock and birds of prey. 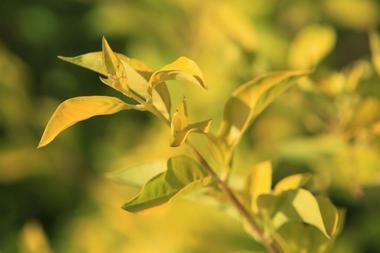 Children can enjoy pony rides, feed the farmstead's baby goats, or pet cows within the farm's Dairy Barn. 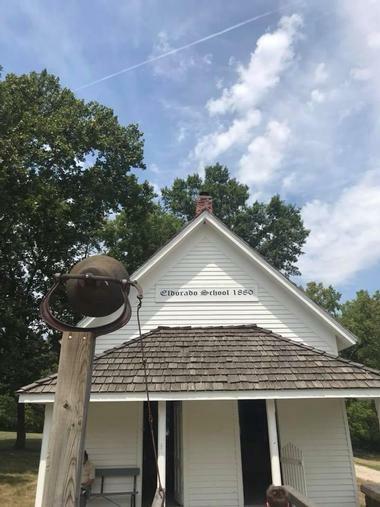 Helen's Country Schoolhouse preserves a replica 1900 one-room country schoolhouse building, while Kanza Village recreates an historically-accurate replica of an indigenous village. Other attractions include a fishing pond, wagon rides, and an ice cream parlor. Visitors should note that while some attractions are included with free admission, others require purchases or ticketed upcharges. First Fridays are Kansas City's most popular monthly events, attracting more than 10,000 attendees to the city's Crossroads Arts District on the first Friday of each month year-round. Art galleries, studios, and organizations throughout the district are open to the public for free each month beginning at 5:00pm, with food trucks, sidewalk vendors, and art exhibits showcased throughout the district's streets. Live performances showcase musicians, dancers, theatrical and aerial performers, and other artists. Visitors can ride the KC Streetcar to the event or enjoy discounted parking at many garages throughout the district. Many restaurants, bars, and nightlife spots offer specials throughout the duration of the event, and many retailers throw pop-up parties as a continuation of the celebration. 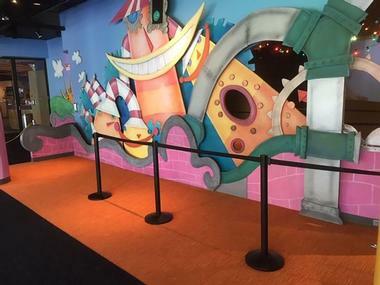 Kaleidoscope is a free-admission creative center sponsored by Hallmark Cards that invites children and families to engage with the arts and their imaginations in a variety of family-friendly art projects and creative initiatives. 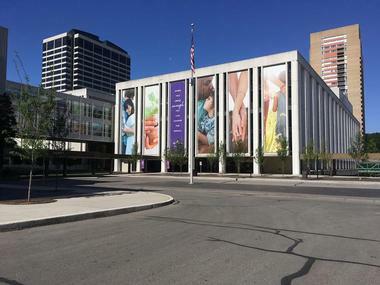 The center, which is located in downtown Kansas City's Crown Center, began as a community service initiative in 1969, led by Hallmark chairman Donald J. Hall, and has attracted more than 1.1 million visitors since its opening. It is open to the public Mondays through Saturdays and hosts 50-minute Creative Art Sessions daily, encouraging visitors to craft brand-new art projects from leftover materials used to create Hallmark greeting cards and products. Visitors should note that all children must be accompanied by an adult at all times. The Ewing and Muriel Kauffman Memorial Garden is one of Kansas City's most beautiful outdoor attractions, located on two acres within Kauffman Legacy Park. 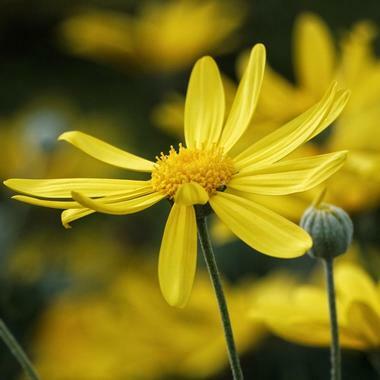 The park is open to the public daily from 8:00am to dusk for free, showcasing over 7,000 vintage and modern flowers, bulbs, shrubs, and trees maintained by a local volunteer gardener staff. The garden, which is inspired by the world travels of the Kauffmans, highlights peking tree lilacs, gardenias, hydrangeas, magnolias, and a splendid orchid collection, along with a secret garden area and a collection of bronze sculptures by artist Tom Corbin. Lakeside Nature Center is an award-winning nature center that was originally opened to the public in 1999 and houses Missouri's second-largest wildlife rehabilitation program. Around 75 animals are housed at the center at any time, including bald eagles, turkey vultures, falcons, hawks, and other birds of prey. Large aquariums house populations of fish and turles, while snakes are on display in terrarium exhibits. The center is open to the public for free Tuesdays through Sundays during business hours, with the exception of major national holidays. Outside, the nature center serves as the trailhead for a hiking trail and offers a public picnic pavilion that may be rented for private special events. Englewood Station Arts District Artwalks art hosted each third Friday in Western Independence's premiere arts district, offering an opportunity to explore the city's best art galleries, studios, and boutique stores and shops. 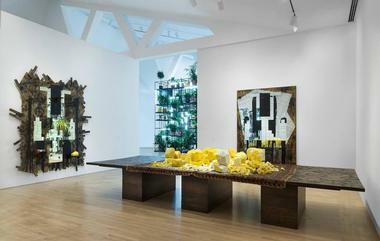 The event begins each month at 5:30pm, with galleries and stores open until at least 9:00pm. Visitors can peruse galleries and businesses along Winner Road between Ralston and Sterling Avenues, with many galleries and studios showcasing new exhibitions or live studio work. Outside, street entertainers perform all night, with food vendors and food trucks hosted on site throughout the event. Many galleries showcase works on display for sale by regional Kansas City artists. Shoal Creek Living History Museum is an 80-acre historical park in Kansas City that was opened to the public in 1975 within Hodge Park. 21 structures recreate the region's pioneer days, including authentic 19th-century preserved log cabins and homes that have been relocated from neighboring counties and arranged in a village setting. Civil War-era buildings are also showcased, along with shaded walking trails and picnic areas. The park is open to the public daily from dawn to dusk, with free admission offered daily except for times when special events are held. Self-guided walking tour brochures of the park are offered at several sites throughout the park and on the park's website. The Blue Room Jazz is a downtown Kansas City jazz club that is named in honor of the city's historic 1930s-era club of the same name at the Street Hotel, a former anchor of its 18th and Vine Jazz District. 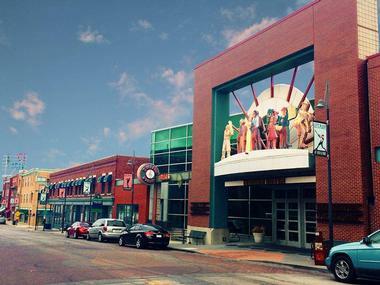 The club, which is located within the city's American Jazz Museum, serves as a platform to showcase dynamic performances from regional and national jazz music talents, with a focus on the city's unique style of "Kansas City jazz." Instrumentalists can visit the club each Monday and take part in the club's weekly Blue Monday Jam sessions, which are free and open to the public. Many shows are also free, including big band and Latin jazz performances and dance evenings. Before 7:30pm, all visitors can get into the club without a cover charge. The Roasterie Factory's Public Cupping offers a unique opportunity for visitors to taste a variety of gourmet coffees for free at one of the nation's most-renowned coffee roasters. The Roasterie, which was opened to the public in 1993 by Danny O'Neill, brews many varieties of fair trade, organic, and single-origin green coffees, roasted using convection-air roasting methods for optimum smooth taste. Cuppings take place each Thursday at the company's main factory, held from 5:00pm to 6:00pm, teaching participants key tasting skills for emphasizing flavor, aroma, and mouth feel of coffees. Though cuppings are free, visitors must RSVP in advance in order to secure cupping slots.